We at Southside Car Group offer you the highest standard of courier service in Luton. We put in all the efforts to make this process easy and convenient for everyone based in and aroundthe Luton area. All you need to do is fill in the form on our website with all the details about the packages to be transported. And our professional team members will reach the location to collect the parcel right on time. 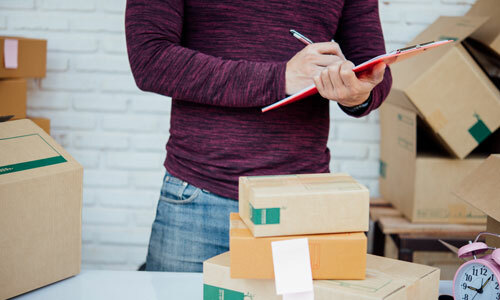 We also offer you the convenience of tracking the current status of all the parcels you send via usso that you stay informed about when these are going to be delivered to the destination. Southside Car Group as a team strives hard to make the whole process of parcel delivery an easy and convenient affair for you. So that whenever you require courier service in Luton for something to be delivered to your preferred location, you only call us and let us know about your requirement. Whether it is a single parcel, a small documentor a large volume of goods to be transported through us, we do it all at the most competitive pricing for you. So, it doesn't matter whether you require our courier services at an individual level or a commercial level, we give you an equal priority. Call us now with all your requirements for courier service in Luton.